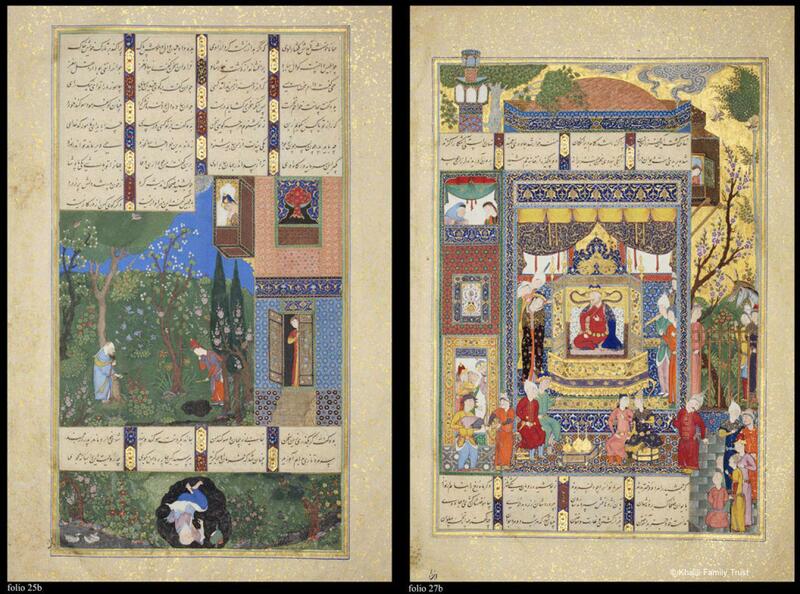 The ten folios come the Shahnamah made for the Safavid ruler, Shah Tahmasp I (r. 1524–1576). 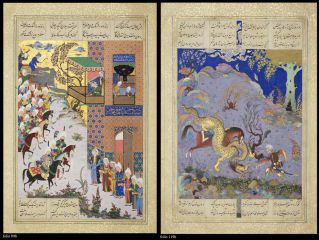 One of the finest illustrated Persian manuscript ever made, it has been referred to as the ‘Houghton’ Shahnamah after the collector who broke it up in New York in the 1970s. It is of large format, on fine gold-sprinkled paper, and with 258 illustrations. The format is independently conceived for each painting and must have involved constant consultation between scribes, painters and marginators. Folio 516, which in the Khalili Collection, is the only folio in the manuscript to bear a date. 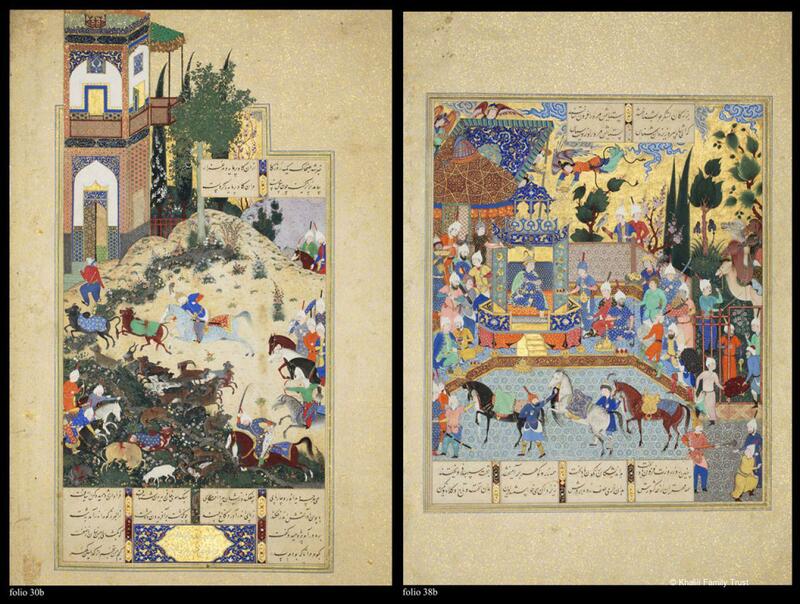 The manuscript was given by Shah Tahmasp to the Ottoman Sultan Selim II at the time of the latter’s accession in 1566. By 1903, the manuscript was in the possession of Edmond de Rothschild. It changed hands once again in the 1960s, when its then owner, Arthur Houghton Jr, began to disperse it. Today, some 140 of its paintings are in museums and collections throughout the world. 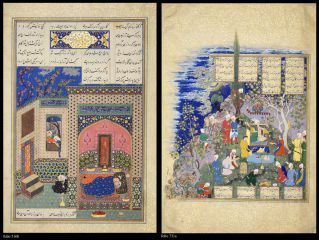 The rest of the manuscript – the binding, the text block and 118 paintings – have been in the Contemporary Art Museum in Tehran since 1994. Folio 119 only: ex-Edmond de Rothschild; Arthur Houghton Jr, Diane Woodner and Andrea Woodner; Christie’s, London, sale of 27 April 1993, lot 71. Remaining 9 folios: ex-Edmond de Rothschild, Arthur Houghton Jr and Khosrovani Collections. Canby, S.R., The Shahnamah pf Shah Tahmasp. 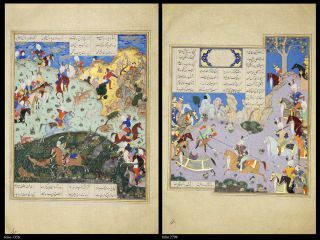 The Persian Book of Kings, New York: Metropolitan Museum of Art, 2014. Dickson, M.B., and Welch, S.C., The Houghton Shahnameh (2 vols), Cambridge, MA, and London: Harvard University Press, 1981. Falk, T. (ed. 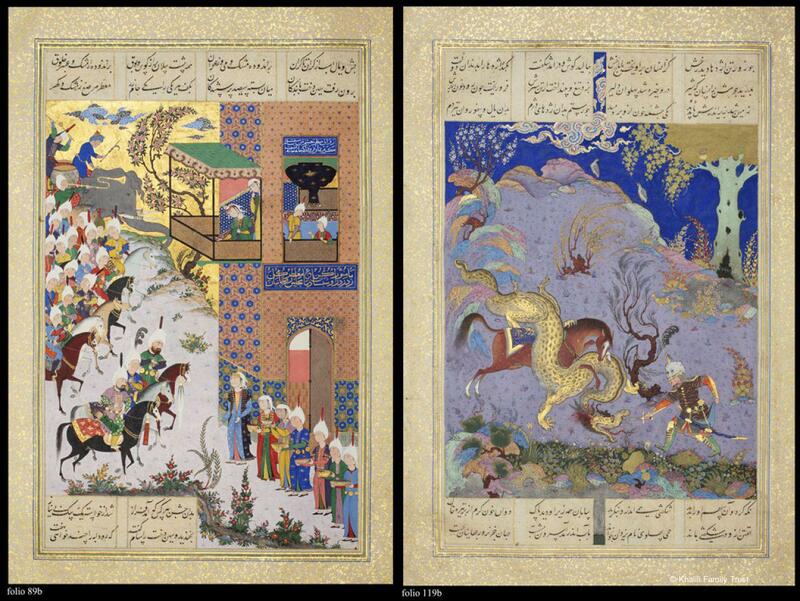 ), The Treasures of Islam, exhibition catalogue, Geneva: Musée Rath, 1985: 68–71, n. 42–4, 46, 49, 50, 53, 57 and 61. Rogers, J.M., The Arts of Islam. 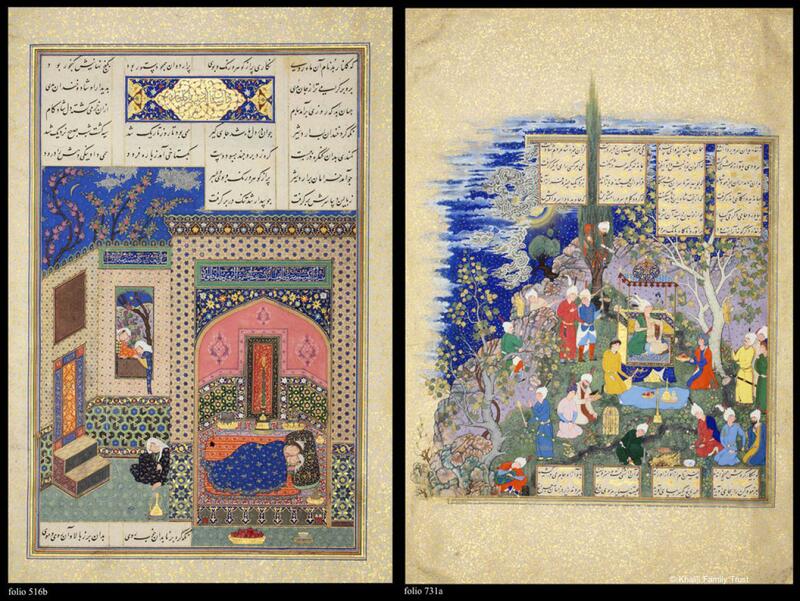 Masterpieces from the Khalili Collection, London: Thames & Hudson, 2010: n. 299–308, pp.262–69.